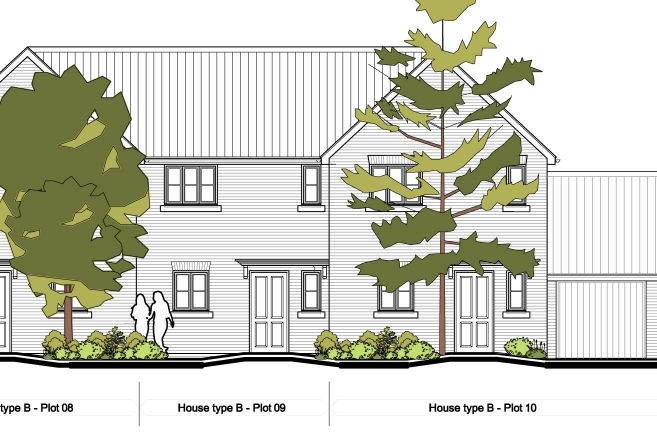 The planning consultant acting directly for the owner contacted Grafik to review options, produce design layouts and produce a planning application. At the junction of High Street and Oakley Road, Clapham, Beds, the site has an existing Spa store with an attached house located to the front corner with the rest being vacant or underused land. Access to Folly park, a static caravan park, to the rear must be retained. 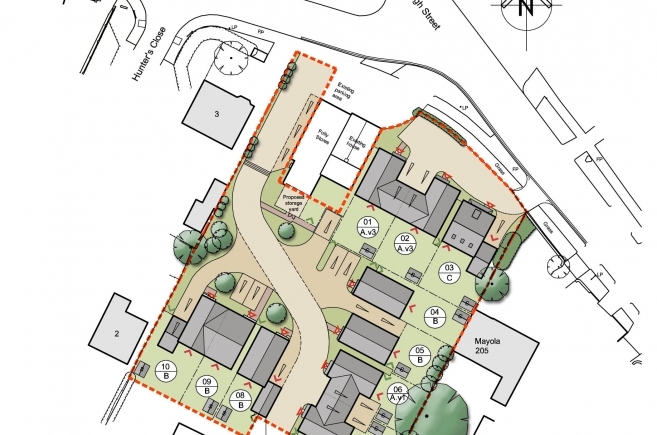 The access position was tested in highway design terms and found to be adequate for additional development and the final layout seeks to provide new homes around an informal square through which the access to Folly park meanders and a small group of houses are located to the High Street frontage to complete a streetscape, served by private drive. 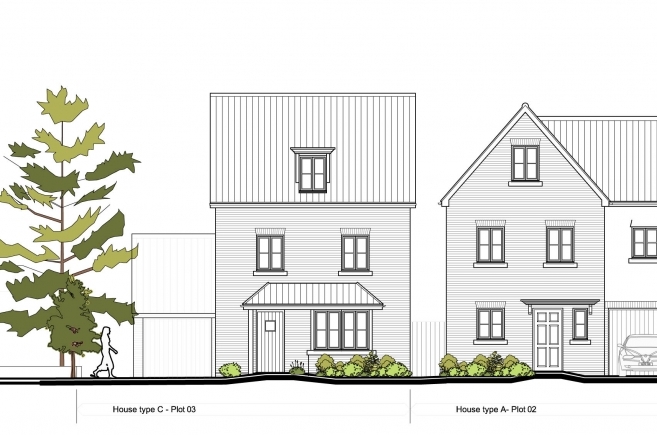 The existing store and attached house are retained but serviced from within the site, new houses are in semi and detached forms at 2 and 2.5 storeys in keeping with the surrounding properties. Parking is generally provided as an integral garage and space, drive through spaces or attached garage and space. The central square has been designed as a shared surface with landscaping / trees, along with subtle material changes, defining the route to Folly Park. All new dwellings are intended for the private market and consist of 7, 3 bed houses and 3, 4 bed houses. 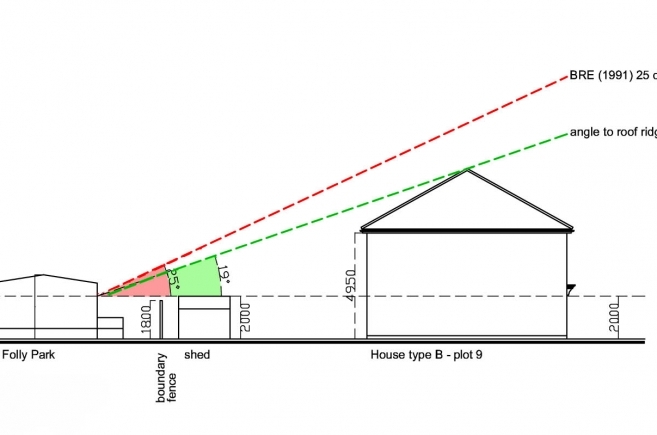 The layout has been carefully considered to meet LA space and garden standards, and importantly to avoid overlooking of neighbouring properties.